This year Evergreen Safety Council will celebrate its 80th year of providing safety services to corporations and individuals in the Pacific Northwest. Originally introduced as The Seattle Safety Council, the organization was established (chartered by the National Safety Council) in 1932 to develop traffic safety programs for roads that were increasingly congested with automobiles and trucks. 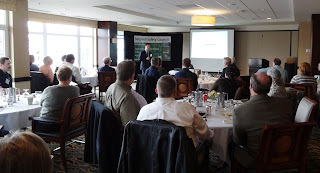 In 1954 they became the Seattle King County Safety Council, and in 1970 the name was changed to the Evergreen Safety Council, better reflecting the fact that they served the entire Pacific Northwest. 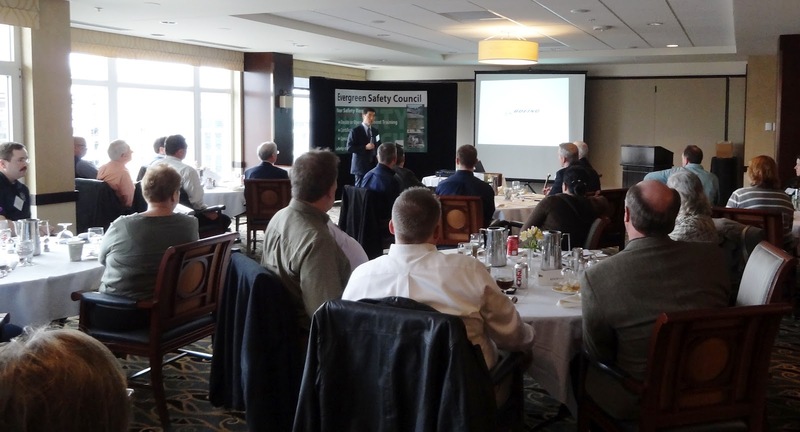 Quality, up-to-date program development coupled with dynamic, informative instructors is the successful formula upon which Evergreen Safety Council has founded its customer and membership base. Evergreen Safety Council hopes to build on this reputation even further by increasing its membership with a comprehensive package that meets our customers’ needs, along with the exceptional safety training programs that are delivered month after month. Definitive customer service is a goal that Evergreen strives to achieve in order to be the most recognized resource for health and safety training throughout the Northwest. In the time since Evergreen Safety Council first began providing training services, many companies have come and gone. Evergreen has proven that with timely offerings, good management and a strong team that organizations can survive and thrive through many economies. Evergreen Safety Council is the Northwest’s largest, independent, non-profit organization providing safety and health training and consultation services to businesses and organizations. ESC is a member of the National Safety Council and a founding member of the American Association of Safety Councils. To learn more about safety training programs being conducted in the Greater Northwest, please view Evergreen Safety Council’s website. The Department of Labor & Industries has conducted numerous inspections as the result of near-fatal exposures to carbon monoxide in industries using forklifts in warehouses and freezers. High concentrations may be rapidly fatal without producing significant warning symptoms. Nitrogen oxides (NOx) are also emitted in the combustion process and high levels may cause respiratory symptoms and severe health effects. It is very important to establish and maintain correct carburetor balance of fueled equipment used indoors. By following the controls listed in this Hazard Alert, employers can help prevent a disaster from occurring. Where possible, substitute equipment that doesn't produce CO or NOx (e.g. electric forklifts). It is important to recognize that although adjustment of carburetor balance on fueled engines can reduce CO emissions to safe levels, over-adjustment can actually increase NOx emissions to hazardous levels. It is very important to establish and maintain correct carburetor balance of fueled equipment used indoors. By following the controls listed in this Hazard Alert, employers can help prevent a disaster from occurring. Read the full article. Let Evergreen Safety Council help with Forklift Operator Training and Forklift Instructor Training. The competition is limited to 30 drivers at each location. The top 5 individual competitors from each regional event will proceed to the finals held at the Governor’s Industrial Safety and Health Conference. Come witness the finals in a statewide competition that will include a written exam, pre-flight inspection and driving skills. Register today. Spectators are welcome free of charge. Walking and warm weather go well together; make it safe! Warmer weather and longer days naturally bring out more walkers, so the Oregon Department of Transportation is encouraging both pedestrians and motorists to be on the lookout for one another. After a long stormy winter, they may not be accustomed to traveling around each other, but it is each individual’s responsibility to be safe – on foot or behind the wheel. So far this year (as of April 11), 20 pedestrians have died in vehicle-related crashes. That’s up 25 percent over this time last year. A review of recent “springtime” vehicle/pedestrian crashes (April – June of both 2010 and 2011) finds a total of 24 fatalities in 23 crashes. In 16 of the 23 crashes from these two periods, the pedestrian was illegally in the roadway, such as crossing between intersections or not yielding right of way to the vehicle that struck them. Seven of the 24 pedestrians killed wore dark clothing that made them not visible to the driver. About 58 percent of the pedestrians who died had some level of alcohol in their systems, with 42 percent of those having a blood alcohol content of .08 or greater, Oregon’s minimum legal limit for impaired driving. Driver errors and impairment also contributed to some crashes. One crash that killed two pedestrians involved a driver not stopping as the pedestrians crossed in a crosswalk. Two drivers had alcohol in their systems. Overall, Oregon is down slightly in vehicle-related fatalities for 2012 (74 deaths so far compared to 76 at this time in 2011). Safety advocates want to see that downward trend continue – and hope it includes fewer pedestrian fatalities. Remember, under Oregon law there is a crosswalk at every intersection; stop and stay stopped for pedestrians in crosswalks. Do not pass a vehicle stopped at a crosswalk; a stopped car may be a clue that a pedestrian is crossing. When stopping for a crosswalk between intersections on a multi-lane road, you should stop about 30 feet before the crosswalk so you don’t block visibility to a driver in a second lane. When stopping at an intersection, do not block the crosswalk. Pedestrians move at different speeds. Be alert for children who may suddenly dart into the street. Be patient with older adults who take extra time to cross the street. Use the route, path, sidewalk, tunnel or crosswalk designated for pedestrians; avoid interactions with vehicles – no matter who is responsible, pedestrians generally lose out in confrontations with vehicles. Before crossing a street, look “left-right-left” for traffic in all directions. Keep looking as you cross the street. With a growing number of electric vehicles on our roads, we can no longer rely on hearing an oncoming vehicle – always be alert! If there are no sidewalks or designated pedestrian routes, walk close to the edge of the road and out of the way of traffic. Walk facing traffic so you can see approaching cars. At intersections, wait for a walk signal to tell you it’s your turn to cross the street. Look before you go to make sure drivers see you and have stopped. Be visible. Wear bright or reflective material, even in daylight, so you can’t be overlooked. See a breakdown of pedestrian fatalities by Oregon county for 2010 and2011. Get more information or download a free booklet highlighting laws for drivers and pedestrians. Do you have employees that work on top of a retaining wall 4 feet or more above the ground to weed-eat or perform other grounds maintenance? Well, if the surface the employee is working on is greater than 45 inches in all direction, then WAC296-24, Part J-1 comes into play, which is the walking-working surface rule. So, if you answered, "Yes" it is time to protect them from falling by such things as standard slats, standard grill work (as specified in WAC 296-24-75011(11)), or standard railing. You could also put them in a fall protection harness and make that part of your PPE program. Yes, you heard right. You have an employees exposed to a fall hazard of 4 feet or more at a permanent place of employment, they have to be protected. This would also include a loading dock, etc. So, take action today. Get the guardrails or other PPE out of the storage closet, or put safety into design issues and keep walking surface less than 4 feet.